DRASTICALLY REDUCED!!! 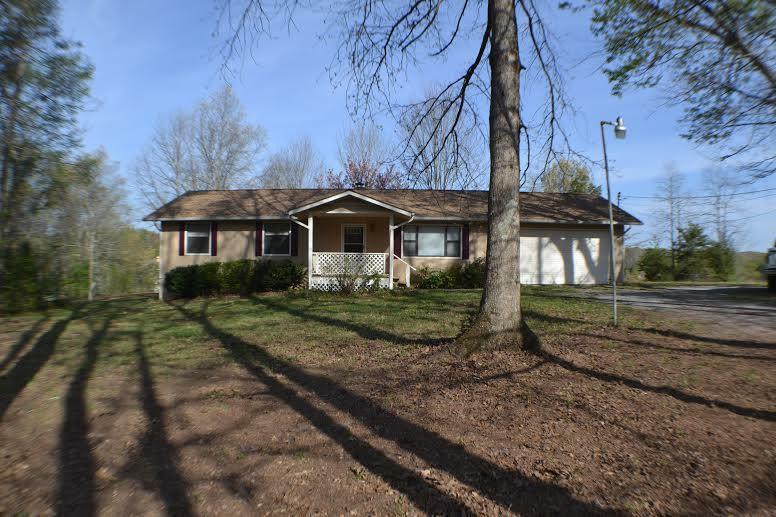 Gently sloping beautiful 2.04 acre property, Lakefront (147.66' water front), in a cove on Fort Loudon Lake, Ranch style house (1836 sq. ft) 3+ BR, 2+ BA, with large great room (beautiful wood burning fireplace & lake) & kitchen (lake surrounding windows in breakfast nook), formal DR, massive master bedroom (huge closet & master bath) & 2 car garage, covered front porch and deck on back.